British multinational GlaxoSmithKline has been rated as the third best company to work for in the UK, according to jobs website Indeed’s list of top rated workplaces in the private sector in Britain. 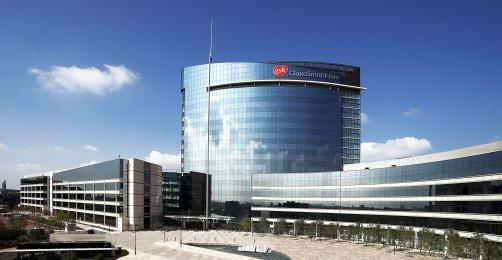 Trailing behind Apple and Wren Kitchens, GSK was ranked third on Indeed’s list of the ‘25 Top-Rated UK Workplaces’. The company, which employs 16,000 UK employees across 18 different sites, generated£8.6 billion in profits in 2017 from a turnover of £30.2 billion overall. Flexible working hours, opportunities to live and work abroad, and a healthy work-life balance were pointed to as the reasons for GSK’s top place position. Meanwhile American healthcare giant Johnson & Johnson outranked Pfizer, Amgen, AbbVie, Eli Lilly and Bristol-Myers Squibb on Indeed’s list of the 50 best places to work on the Fortune 500 list of the biggest companies in the United States in 2018. Although Facebook came in first place overall, J&J led among pharma firms coming in at seventh place on the list, compared to BMS who came in ninth and Eli Lilly who ranked 12th. Meanwhile Pfizer ranked 20th, Amgen 28th, and AbbVie 35th. Submitted by Ashwin kumar on Sat, 24/11/2018 - 08:32. As we all know that windows 10 is a very nice operating system of Microsoft and so many users like to install this in to their computer, for them i am sharing this tutorial where they get to learn microsoft windows 10 help how to use desktop with this latest OS featurs and functions.